When I was growing up in Los Angeles in the 1970s, every summer my parents took me to Disneyland. We would drive down to Anaheim and I would look out the window, searching for the Matterhorn (or later, Space Mountain) knowing that the moment I saw it, I was going to enter another world. A world of slightly spongey asphalt that keeps your feet from getting too tired, of 3/4 size buildings with interiors too vast to fit the facade, of the smell of popcorn and the taste of frozen bananas, and of Carnation ice cream’s exclusive Disneyland flavor Fantasia. My mother tried to bribe our Carnation milk man to bring her some at home, but it never worked. For me, Disneyland was magic, and it stayed magic, even when I entered the tunnels underneath the park. Even when I learned that the Haunted Mansion ride actually took place across the street from the park proper. I didn’t care. Not entirely. It was still the Magic Kingdom. Then I read Guy Debord, Baudrillard, and Robert Venturi, and the magic began to peel and flake. I felt like I could then see the armatures beneath the facades. In the face of the theory, I remained defiant. I still loved Disneyland and still enjoyed it. I allowed myself to exist within the deception, recognizing it’s methods, and still enjoying it. sentence, “The circus arrives without warning.” For me, this sentence was akin to seeing the Matterhorn from the freeway. 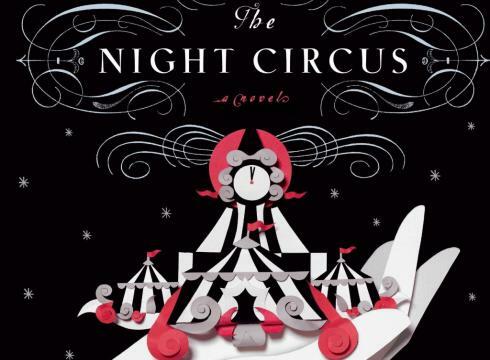 What follows is the story of the birth and life of this magical circus that functions as the setting for a challenge between two magicians who don’t fully know the rules of the game. I think that’s what made me fall in love with this novel. Seeing the armature only makes the circus more marvelous. The magic is real, and the illusion is false. P.S. This book also illustrated for me the weakness of e-books. I bought it to read on my ipad and after finishing it last night, I’m running out to buy the book. *Okay, yes. This book used second person and I said I hated second person. I know. But it works here.